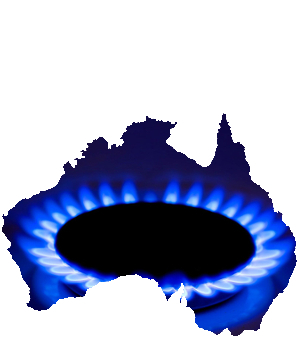 The ACCC has reversed its view on a gas reservation policy to control prices. Australian Competition and Consumer Commission (ACCC) chair Rod Sims had previously opposed the policy to reserve some gas production for domestic use, saying it would be an unnecessary interference. It appears he has had a change of heart. “Before the [LNG] gas plants were built there were a lot of people, including myself, who said we shouldn't reserve gas, that interrupts the market,” he told the ABC this week. “I think what we hadn't seen, what I hadn't seen, is the fact that we've got three large LNG producers when we really only had gas for two-and-a-half. “We've also got the moratorium or bans on gas in fact in Victoria and in virtual ban in New South Wales. Manufacturers are expected to welcome the call for a domestic reservation policy on new gas fields. “Particularly in the south, we've got a lot of manufacturing industry, they're paying up to $4 more than really they should be, if we had more supply,” Mr Sims said. The Federal Government has the power to restrict east coast gas exports to ensure domestic supplies. But Resources Minister Matt Canavan says the price is not too high. “Let's look at the facts here, the price of gas at Wallumbilla — which is a gas market, gas hub, near Roma in western Queensland, it sets sort of a benchmark price now for eastern Australia — it's sitting just below $9.50/gigajoule,” Mr Canavan said. Wallumbilla gas prices are actually closer to $11/gigajoule, and has been forecast to rise to a peak of $15. “The Commonwealth government really can't introduce a real reservation policy as it's normally thought of, because we can't control the gas that's onshore in Australia, that's a matter for the state and territories,” Mr Canavan said.